Growth in style, performance, technology and comfort are all apparent with the addition of the Legacy 500. 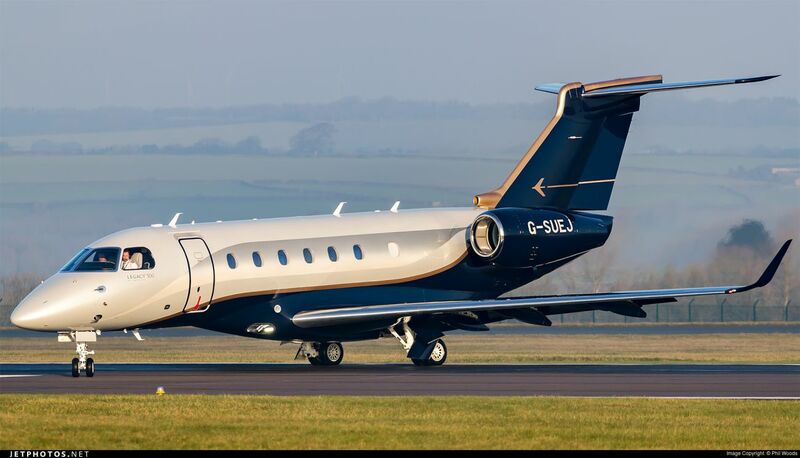 Ask any broker, owner or seasoned charterer which super midsize jet would offer them the comfort and speed of a heavy jet and you’ll solidly hear one name- The Legacy 500. It is easy to be biased, with one in your fleet. But whether a subjective or objective viewpoint is taken, this long-awaited midsize marvel truly does tick all the boxes. With this aircraft, Embraer – the Brazilian manufacturer – Have brought one of the most technologically advanced, super midsize model aeroplanes the world has ever seen to the market- and the market love it. The Legacy 500 offers a range of 3150NM, a large dual- club cabin, vast windows and great luggage storage space, which allows this model to compete not only in the midsize and super midsize market but also with heavy jets at a much lower price. Ultimately this aircraft gives you more aeroplane for your money. … More room, more range, more advanced technology and great speed puts the Legacy 500 in with the big boys; whilst chartering it will not cost you as such. Firstly the cost of the aircraft is incomparable to others on the market. When looking at the Gulfstream G280 and Bombardier Challenger 350, the legacy truly does come up on top- at nearly $6million less than the Challenger 350 it is easy to see why the charter price of the legacy is so tough to compete with. Good news for both charterers and owners! And now we’ve established that the legacy, in comparison to it’s competitors, can not only get you there more economically but also allow you to leave nothing behind… I’m sure it’s music to your ears to hear the journey time will be faster than other charter aircraft available. 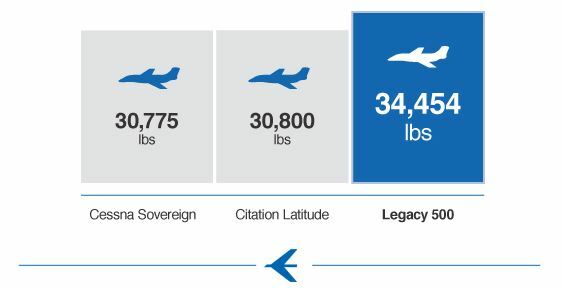 With a cruise speed of 466 KTAS, the legacy 500 will get you to your destination 6 KTAS faster than it’s rival; the Cessna Sovereign. As we touched on earlier, enabling you to leave no home comforts behind is one of the legacy’s many strengths… But stepping it up, not only does the legacy offer the space for luggage, it also provides the comfort for (probably) your entire family, team, friends, etc. A total of 10 passengers can be hosted in comfort on the Legacy 500. That’s the equivalent to two average sized British families! And trumps both the Citation Latitude and Challenger 350 and citation Latitude. So hypothetically speaking, not only will the Legacy 500 cost you the least comparatively, get you there the fastest, with all of your desired possessions… You’ll also never have to leave a man behind! Could we be biased? Sure. Could the stats be biased? Not last time I checked. You can’t argue with the figures. Whilst it’s obvious to see the Legacy 500 offers one-upmanship on super midsize luxury, ultimately the aircraft is a super midsize jet in terms of price, but behaves like a heavy jet in both comfort and range. If you want more aeroplane for your money, more range, more room, great technology, great speed and luxurious comfort, maybe your next charter decision should be the Legacy 500. Contact a member of the SaxonAir team to find out more; 01603 518 234.